This sweet rum drink is pretty in pink. It may be one of the simplest—and delicious—ways to make someone, like a birthday girl, feel extra special. Toast her in style with a signature drink that's all her own. Just place rum and a few fruit juices in a shaker and shake as long as it takes to sing the birthday song. Cheers! 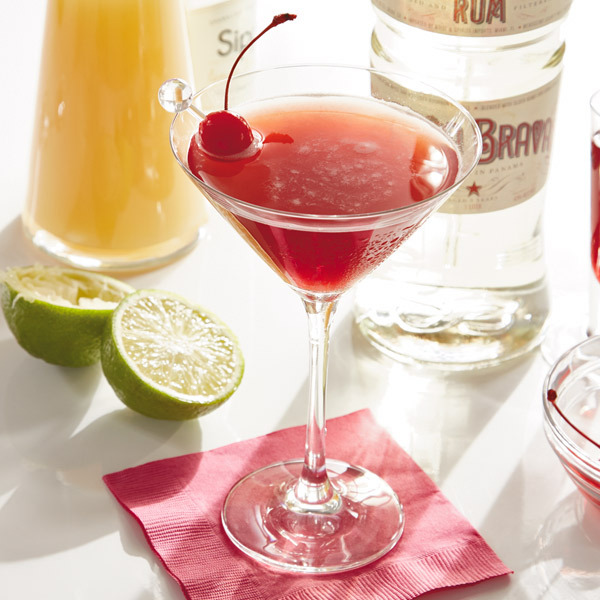 In a shaker, combine pear juice, rum, cherry juice and lime juice. Fill with ice and shake for a few seconds or as long as it takes to sing the birthday song. Top with a splash of chilled soda water and garnish with a cherry.